Devils Hole in the USA is a very unique place. In this subaqueous cavern, conditions have remained stable for hundreds of thousands of years. In a project supported by the Austrian Science Fund FWF, researchers from Innsbruck investigate this valuable climatological archive and, in the process, try to get to the bottom of a mystery. Nevada, in the southwest of the USA, is home to a unique location. Travellers through the Amargosa Desert at the edge of Death Valley can find a geological gem. A narrow crack in the rock allows a glimpse of a widespread underground water system. Devils Hole, as it is called, is a hotspot for palaeoclimatologists. The mineral calcite precipitates in the warm water and deposits thick crusts on the walls of this cavern which is at least 150 metres deep. Already in the late 1980s, scientific investigations proved that these deposits offer complete and very precise climatological records of approximately the last 500,000 years. In an FWF-funded project headed by the geologist Christoph Spötl from the University of Innsbruck, new measurements are being undertaken in the cavern with the aim of pushing the record back to 800,000 years and, possibly, beyond one million years. To get the data, the scientists sample calcite drill cores from above the groundwater table and use state-of-the-art measurement methods to determine their age. “The special thing about this place is the fact that the calcite crystallises extremely slowly and continuously, layer by layer”, explains Spötl. “Like in a tree-trunk, only thousands of times longer.” This distinguishes them from stalagmites, also coveted by research as “climate archives”, which often stop growing after a few thousand or, at most, some dozens of thousands of years. Other factors, like magnetic signals, also help in recalculating the climate diary. “780,000 years ago was the last time the Earth’s magnetic field turned by 180 degrees”, notes Spötl. This pole change has been preserved in the deeper calcite layers of Devils Hole, as the scientists discovered in co-operation with the Leoben University of Mining Sciences. “This is supported by a first set of quite robust data”, principal investigator Spötl is pleased to announce. Apart from conducting new measurements to date the calcite deposits, the researchers from Innsbruck also investigate the temperature of the water reservoir and fluctuations in the groundwater table. The lime deposits show, for instance, that the water table was significantly higher about 20,000 years ago – by approximately 9 metres. This enables the research team of Christoph Spötl to reconstruct dry and wet phases in this part of North America – and thus draw a clearer picture of climate history; an important historical record for the southwest of the USA, which is currently plagued by droughts. The geologist Christoph Spötl is a Professor for Quaternary Research at the University of Innsbruck’s Institute of Geology. 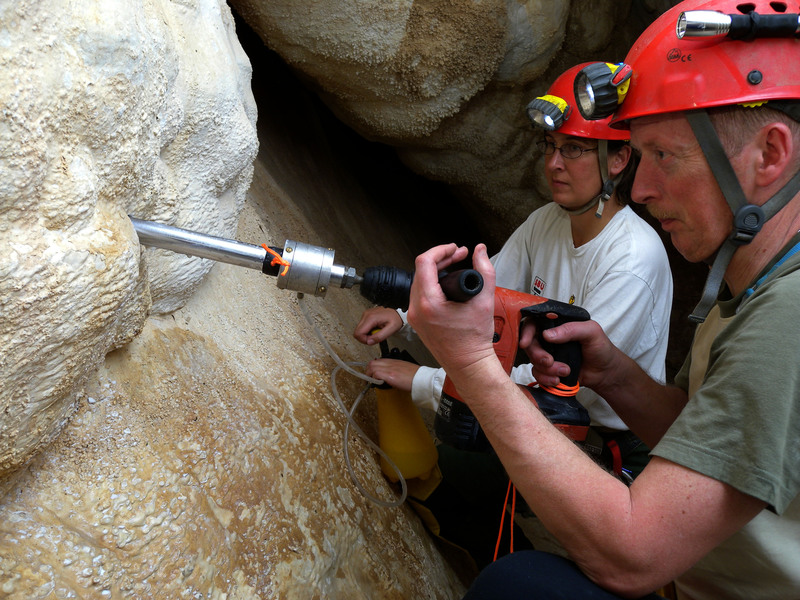 The research team headed by Spötl is known for its contributions to historical climate research, inter alia by dating stalagmites in Alpine caves. Christoph Spötl has done research at renowned institutions in the USA. In 1999, he was awarded the START grant of the Austrian Science Fund FWF. 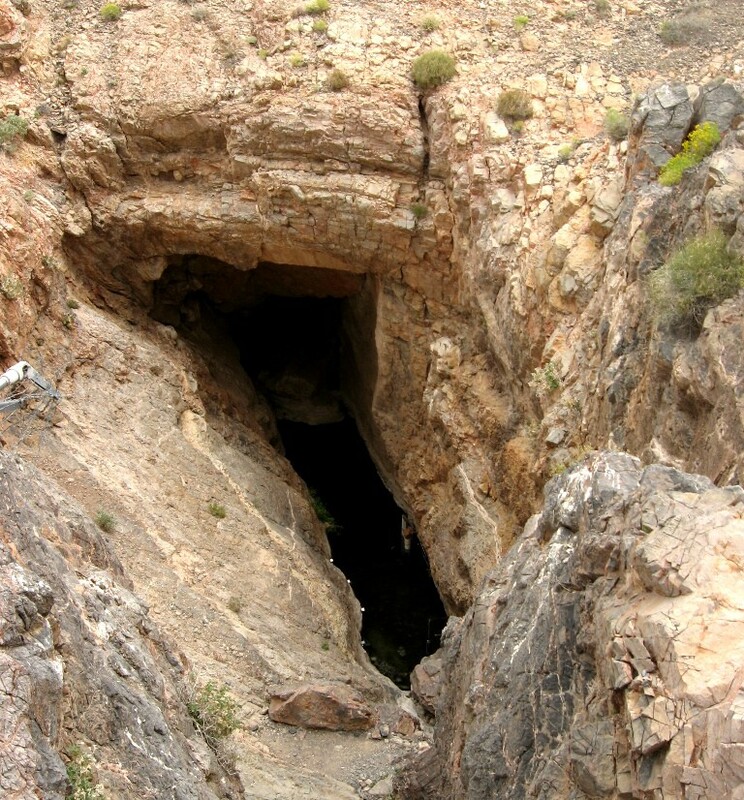 The FWF-project Devils Hole, Nevada is ongoing until 2018.